Graduating high school is something every high schooler dreams of throughout the four years. The rigorous process students must go through in order to achieve the goal of graduating high school is a long one. Not only must students experience the confusion and emotional distress of experiencing high school, they must also grow up and find out what they want to do for the rest of their life. It might be a roller coaster, but having their loved ones be able to see them walk the stage is worth it all. 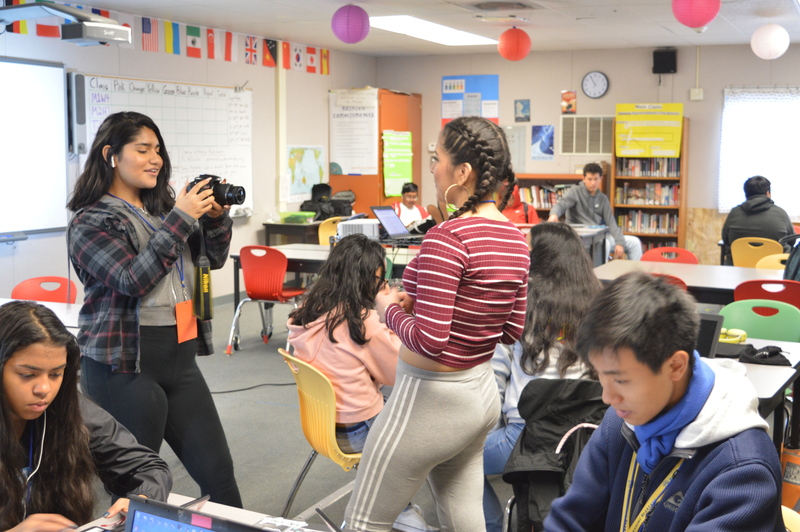 Currently, the seniors at Everest are on the road to graduating, which means preparing for the ceremony, ending the year on a high note and also being able to enjoy the last two months of high school. Graduation will be on June 9 at the Sequoia Carrington Hall in Sequoia High School. The graduation ceremony has been there for the last seven classes. There has always been the saying that high school flashes right before you, which is very true. In a short few weeks, the seniors will be committing to their college of choice where they will continue their journey. The graduation committee at Everest is a group of parent volunteers, as well as some of the staff here at Everest. Students are also able to help as the date nears closer. The buzz around the senior class is growing with excitement and nervousness as emails and talks begin to grow about graduation. Whether it’s for your ticket count or gown measurements, those communications make it clear to all that graduation is soon. 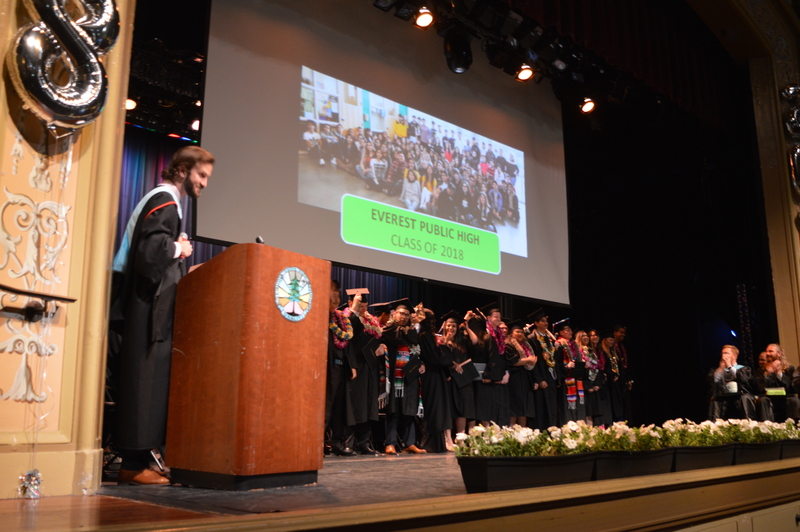 The ceremony includes speeches from different people at Everest: the director, a chosen Everest faculty member, a senior and every senior mentor. Something that is new this year is that the ceremony will be bilingual for Spanish-speaking families. Although Everest is a small school and the senior class is small compared to an “average” high school, that doesn’t mean that the ceremony is going to be any less eventful. Someone who is a big part of the planning of the ceremony is the Everest Operations Manager, Ana Lara. Ms. Lara has worked at Everest for two years now and has previously mentored a group of seniors. Everest senior Ignatius Hayer is a part of the graduation committee. He has been a part of the entire process of planning this grand event. Not only is Hayer helping to plan graduation this year; he also did so last year. The excitement among the Everest seniors is clear as graduation moves closer. Graduation marks the end of a journey and the beginning of a new era. This will be the last time seniors get to be in a room with the classmates they have studied with, fought with and bonded with for the past few years. After that day, many will go their separate ways, never to see each other again.